Experience the excitement of conversion in 3 awesome steps, with Transformers: Robots in Disguise Combiner Force 3-Step Changer figures. 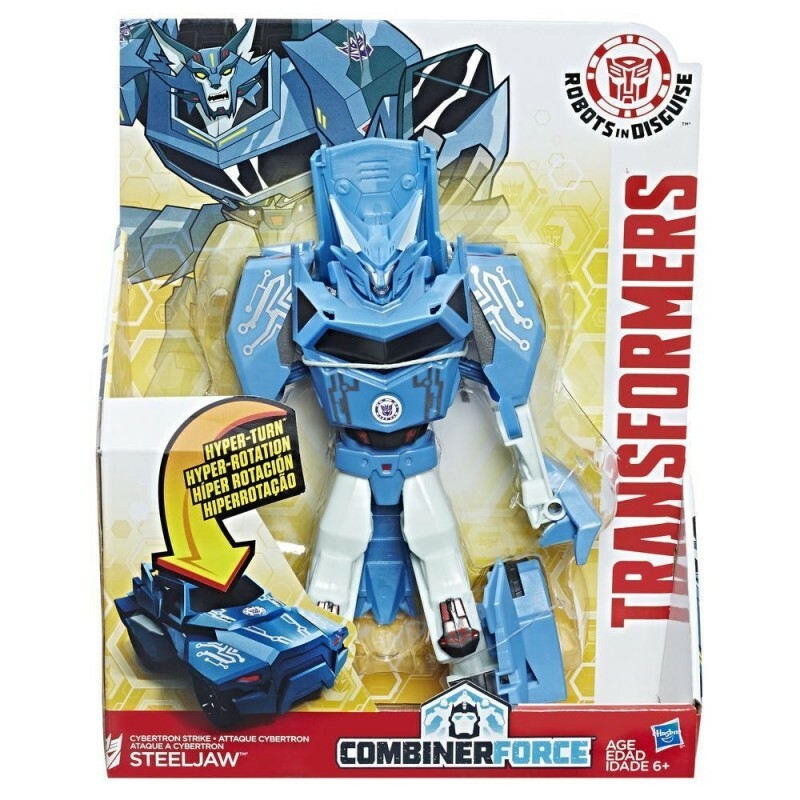 To convert this 3-Step Changer Cybertron Strike Steeljaw figure from robot to vehicle, swing back plate over figure, and swing over to latch in a smooth Hyper-Turn motion. Imagine charging into battle with figures that change modes in 3 steps! Steeljaw will stop at nothing until he’s taken over Earth and turned it into a Decepticon lair. The brilliant schemer is an expert at devising a plan, and patiently waiting for just the right moment to strike. 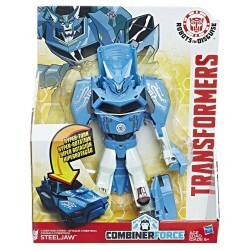 Sly and calculating as a bot can be, Steeljaw always plays his cards right, knowing when, where, and how to make his move.Join the battle with this figure based on the Transformers: Robots in Disguise animated series. ▪ Transformers: Robots in Disguise app works with select iPhone, iPad, iPod touch, and Android devices. ▪ Available through June 30, 2019. ▪ App content ages 9 and up ▪ Check Transformers.com for details. ▪ Updates may affect compatibility. ▪ Not available in all languages. ▪ Hasbro is only responsible for Hasbro-generated content. Please refer to third party terms and conditions for further information.